By: James Dunworth Categories: health 1 great comment - add yours! Worried about swine flu? The answer could just be to reach for an electronic cigarette. The issue has been discussed on the past on an e-cigarette forum, with some users reporting a fall in the frequency and severity of getting flu. The effect could be due to switching from the cigarettes that contain thousands of chemicals and tens of carcinogens. However, a second possible cause is that of the Propylene Glycol that forms the main ingredient of e-cigarettes. 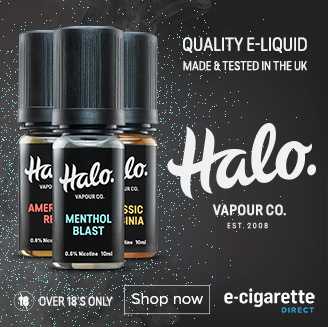 Propylene glycol, the main ingredient of e-cigarette mist, is known to kill airborne flu virus and bacteria, and tends to protect those exposed to it in inhaled air, whereas in contrast smoking tobacco doubles the risk of death in a flu epidemic. Unfortunately, we have no solid evidence to back the potential of e-cigarettes in preventing flu and cold. … we don’t have any data as to the extent that propylene glycol inhaled intermittently from an e-cigarette might prevent inhalation of live bacteria and viruses… This merits research. There is, however, proof of propylene glycol’s ability to kill germs. In one experiment, sick children in a convalescents’ home were subjected to bacterial levels of propylene glycol. During the first year of the experiment, children in the control wards (i.e. those with no propylene glycol) suffered 100 infections. Children in the wards with propylene glycol suffered just five. I know one thing. Next time someone is spluttering next to me in an airplane, I’m reaching for my e-cigarette! Read the full interview with Murray Laudersson.